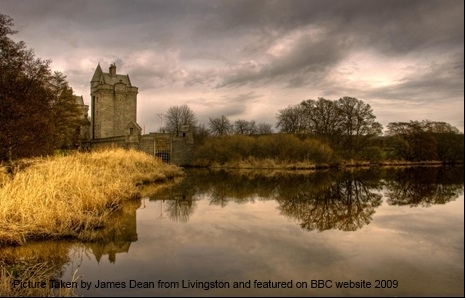 Scotland's ghosts, myths and legends - which tales give you the chills? I've always loved to read or listen to stories about the supernatural and the unexplained in Scotland, from the tales of mischief carried out by the 'wee folk' to eerie and sinister accounts of lost souls and evil spirits. 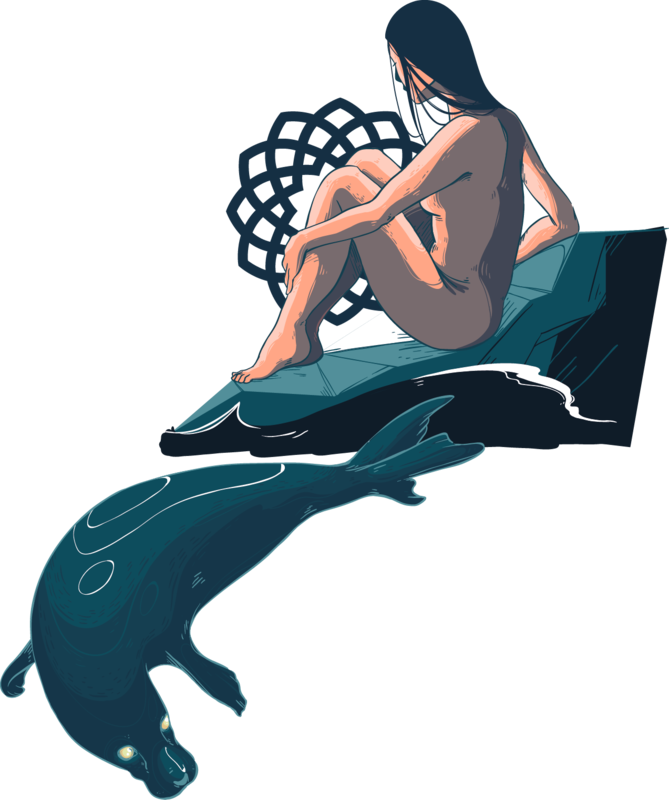 Of all the fables I've come across, I think it's the stories about Selkies, sea people who wear seal skins when in the water, which have made the biggest impression on me - every time I still a seal bobbing near the shoreline with big, doleful eyes, I can't help but think they've experienced a sad, but romantic, past. What's your favourite Scottish ghost story, myth or legend? We all know about Nessie, but there are many others just as mysterious and peculiar that you might not know about - take a look at this new eBook which covers spectres, witches, faeries and more! Back in the late 16th & early 17th century, the local Laird Alexander Skene was also known as the 'Wizard of Skene'. He had travelled to a University in Italy to practice a dark and dangerous form of magic that involved summoning the spirit of the deceased to gain insight and knowledge of the future. When he returned to Skene, locals were fearful of the Laird it was said that he had no shadow and was always followed by ravens and magpies - the birds of ill omen. Local people were superstitious and believed that he could reest them - gluing their feet flat to the floor or make them do evil things that they did not want to do. 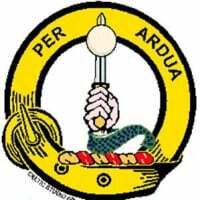 Legend states that during his time in Italy, the Laird had summoned Auld Nick (the Devil) to form an evil partnership, with the Laird becoming Auld Nick's new apprentice. Then one night the temperature dropped and the Loch of Skene froze over. The Laird instructed his coachman, Kilgour, to meet him at dark by the edge of the Loch with his horse and carriage. He was instructed that there would be another passenger and that under no circumstance should Kilgour look at the passengers face. The Laird appeared at dark with a person dressed in an Auld Cloven Hoodie. They climbed into the carriage and the Laird instructed Kilgour to cross over the frozen Loch of Skene. With the crack of the whip, the horses set off onto the frozen water through the frosty mist, but Kilgour could hear the voices of the Laird and the mysterious cloaked figure in the back. His curiosity got the better of him and for one split second he turned around and saw the face of the passenger. It was the Devil! The sight of Auld Nick in the back of the coach chilled Kilgour to the bone and he let go of the reins. The carriage crashed through the frozen Loch killing Kilgour, although the Devil and the Laird mysteriously survived. The Laird died in the 1700s and his gravestone can be found in the graveyard of Skene Church, although it is said that if you circle the gravestone 100 times, the Laird may rise from the dead! Eek! Also when the Lochof Skene freezes over, a strange pattern can be seen on the surface of the ice? Could this be the tracks of the carriage? Double Eek!! 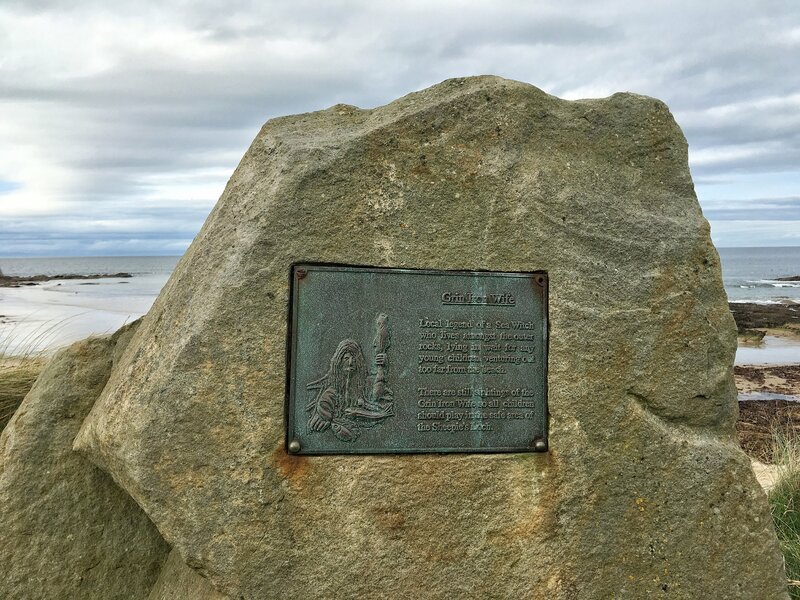 I was in Hopeman on the Moray Coast last weekend and loved their local tale of a sea witch known as the Grin Iron Wife. She lurks on rocks just off the beach and pounces on unsuspecting children who paddle too far out to sea. The locals have very kindly engraved a big stone at the beach to warn parents of the dangers. I have a soft spot for the Bean Nighe and use her as my Instagram name as I adore the myths and legends of Scotland. Bean Nighe is a Scottish bansee and harbinger of death. She's also known as the Washer Woman. She's found by Highland streams washing bloody clothes. If you meet her your number's up unless you can get between her and her pile of washing. She's a hideous old snaggle toothed crone. I should add that I bear no resemblance to her! 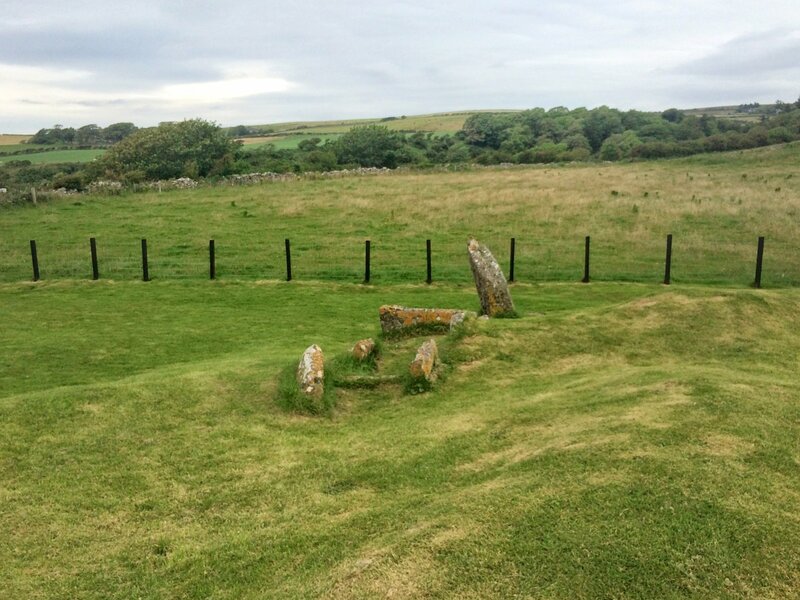 There's so many myths and legends throughout the Highlands! One of my favourite is how the waterfall in Smoo Cave was created! Take my test to see if you know about the other dark legends of the Highlands! Check out our #HauntedFife posts over Halloween weekend! From tales of burning witches to visitor friendly ghost monks! 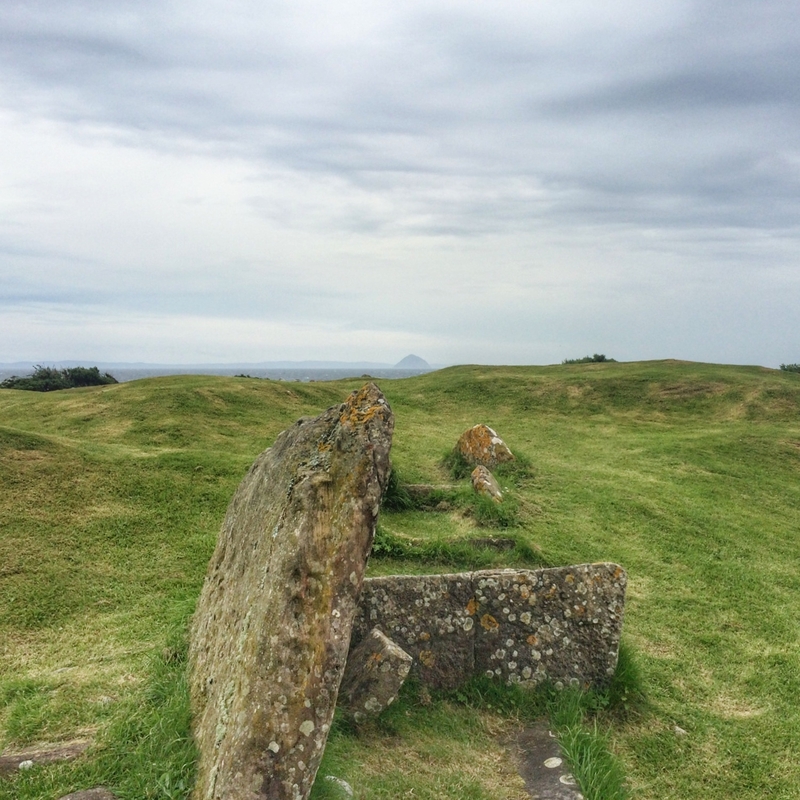 I've just been blogging about a visit to Arran last summer and was reminded of a spooky story associated with Torrylin Cairn. Torrylin in a Neolithic chambered burial cairn of a type commonly found along the Firth of Clyde. The story goes that a local man disturbed the cairn scattering bones in a nearby field and removing a skull as a macabre souvenir. When he arrived home with his plunder his house was shaken violently as if it had been struck by a hurricane yet there was no wind outside. Next he was plagued by dark shadowy figures. Terrified he returned the skull to the cairn. Apparently that wasn't enough to appease the angry spirits though as the man was later thrown to his death while riding his horse near the cairn. They say the horse was spooked by an invisible presence. Thankfully there were no shadowy figures around during our visit! @Samantha_Grant Look forward to reading. I remember arriving on Arran in the pitch black and having to hike from Brodick to a site a few miles north. Walking up the lonely single track road lit only by the moon, my friend grabs me and points to a person closely behind us but walking in the opposite direction. No one passed us!!!!! Part of my growing up was in Fraserburgh. Close to the Lighthouse (now the Lighthouse Museum) there is an old tower known as the Wine Tower (or locally, the Win Toor). Many years ago, it was the seat of the local laird. His daughter was beautiful and kind, and he wanted her to marry a local notable. But the daughter was in love with a poor musician from the town. One day, the father decided to travel and visit a neighbour. As soon as he set out, the daughter sent a message to the musician, and he hurried to the castle to see her. Unfortunately, the weather turned bad, and the father turned around headed back to the castle. He caught the two young lovers in a compromising position. Enraged, he threw the musician into the dungeon of his keep, and locked the girl in the topmost room. Then he took himself to the great hall and in despair, drank himself into a stupor. While he lay insensible, the storm grew worse, and the sea water began to seep into the dungeon. It slowly filled until the musician was drowned. Next morning his body was found. When the daughter heard the news she threw herself out of the window of her room. To this day there is a red stain to this day where the daughter hit the rocks and killed herself. And on stormy nights, if you listen carefully, you can hear the weeping of a young woman and the playing of a ghostly fiddle coming from the old grey tower.